USB devices plug into the USB port — any USB port. The USB cable may be attached directly to the gizmo, or you may have to use (or buy) a separate USB cable. 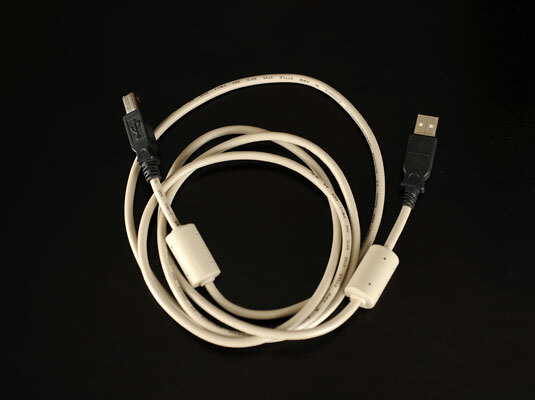 Fortunately, the USB cable has unique ends (as shown in this figure); you can’t plug in anything backward. Examples of USB gizmos to attach to the console include scanners, digital cameras, webcams or video cameras, speakers, headsets, disk drives, keyboards, and on and on. You have to attach some USB devices directly to the console or to a powered USB hub. For example, an external disk drive or USB-powered device may need to be connected directly to the console, not “daisy-chained” to another USB device.